CL_SALV_TREE is a very useful class to print information on the output screen in the form of a tree. We can view similar kind of information grouped under nodes and can have option to have limited or full access to them. The tabular view enables us to navigate through the data in an informative kind of way. In this blog, we shall discuss about many small useful events for the CL_SALV_TREE and also some tricks to use them for our own desired functionalities such as Sorting, Filtering and Deleting and most importantly, REFRESH. We would try to populate the data dynamically on to the CL_SALV_TREE which makes it more interesting! Here we shall use our program to generate a tree which can be used as a directory explorer similar to that of AL11 transaction. 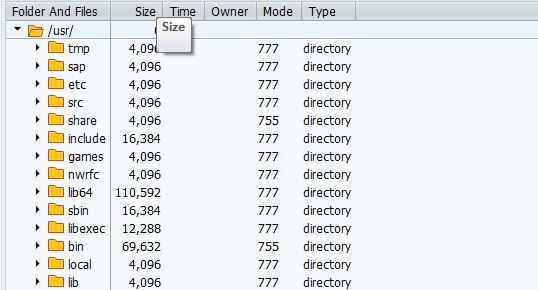 You need to filter the directories from the files and I have used my own made logic for that. Now, for the initial display, we need to display an empty table of the same type of the table that we want to have in the output. lv_text = CONV #( p_file ). Now comes the interesting part of dynamically populating the data on to the SALV Tree Structure. We would use an OOPS approach to the program for the functionality and use several events for the same. Now we would assign each method for event handling on the SALV_TREE. Now we would trigger the empty expand node event so as to populate the data under the node. lo_node = lo_nodes->get_node( node_key = node_key ). IF <lfs_rowdata>-address IS NOT INITIAL. me->md_directory_open( iv_file = lv_file ). me->md_create_node( iv_key = node_key ). The directory open method contains the two methods to populate the data in the internal table. Now we will populate the nodes dynamically using the create node method. LOOP AT lt_main INTO ls_main. 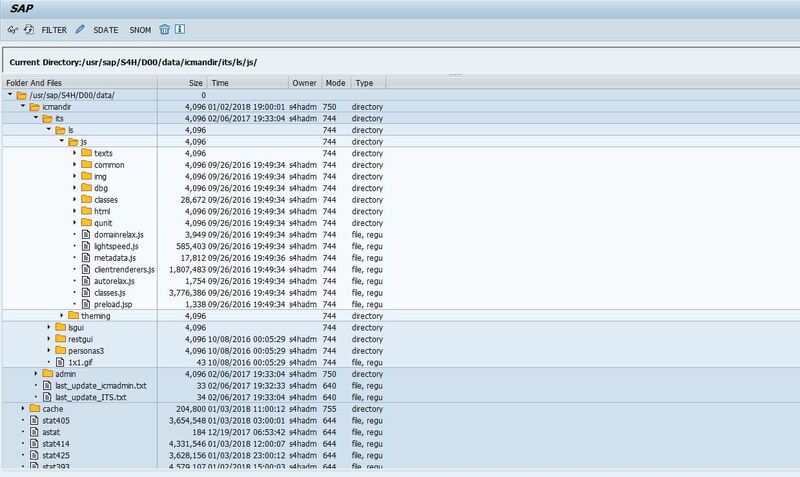 This will complete the preliminary directory explorer using CL_SALV_TREE. Now, we will explore more about the events and their usefulness. ON_EXPAND_EMPTY : – This method will allow us to populate the nodes whenever an empty node is expanded and thus saving the data under that node. ON_USER_COMMAND : – This event will handle all the functions that set the value of sy-ucomm in the output screen. I have used this method to trigger the buttons put in the PF_STATUS of the SALV_TREE. IF lo_item IS NOT INITIAL. LOOP AT lt_childr ASSIGNING <ls_childr>. me->md_create_node( iv_key =  lo_key ). I have used the following logic to filter the elements under a particular node. You can filter the last expanded node too which shall be discussed later. This is the most easiest one! The display initial method again initializes the SALV with an empty tree and repeats the whole processing and returns the tree to its initial state. I have implemented many more functionalities and will be sharing them in the future. Thanks for sharing. 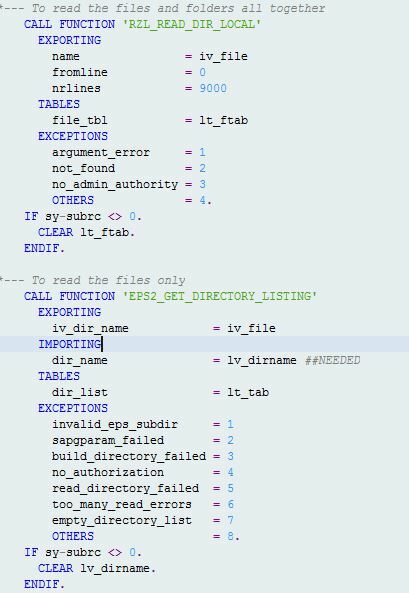 I’d suggest to post all ABAP code as code (=text), the mix of screenshots and text is a bit confusing.